Comment: I would like to get an estimate for fixing broke spout for gutters. Spout came undone attached to garage portion. Comment: My LEAF FILTER gutters had perforated strainers that shrank and buckled as well as thin, plastic mesh cover fabric that disintegrated from sun rays. If the buckled strainer sections could be replaced, and all the thin, plastic mesh be replaced with a metal screen material the gutters would work well ,I think. I'm open to any advice. Comment: I would like to get an estimate for installing new gutters on shed. Comment: The gutter is warped in the middle. I would like to find a solution to this problem so it does not recur. Castro Valley Gutter Cleaning & Repair Services are rated 4.70 out of 5 based on 385 reviews of 10 pros. 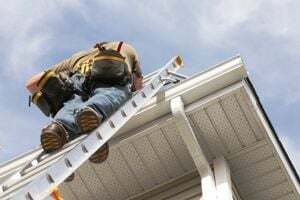 Not Looking for Gutters Contractors in Castro Valley, CA?